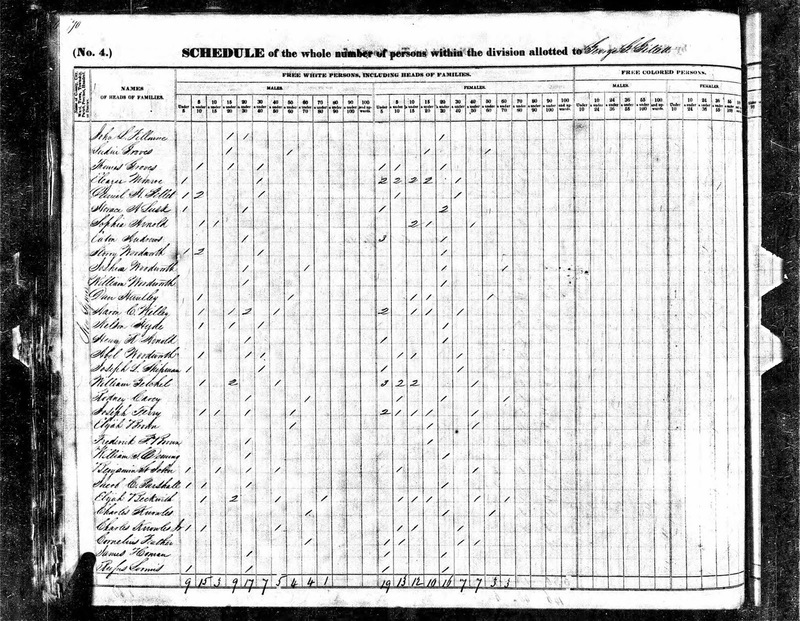 "1830 United States Federal Census," Population Schedule, Mercer County, Pennsylvania, Salem township; Page 206, Cornelius Feather household, online database and digital image, Ancestry.com (http://www.ancestry.com); citing National Archives Microfilm Publication M19, Roll 149. 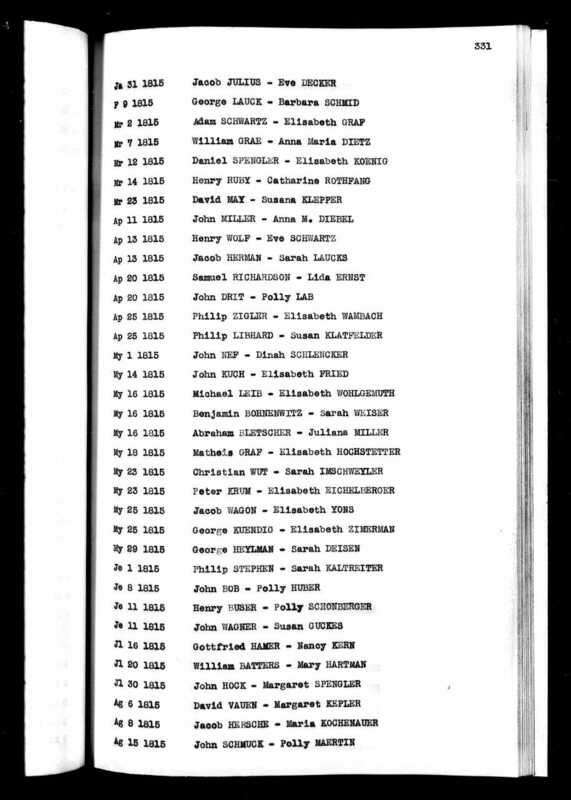 I don't think that the female aged 30 to 39 in the 1840 census is Cornelius' first wife or the mother of Sarah Feather. 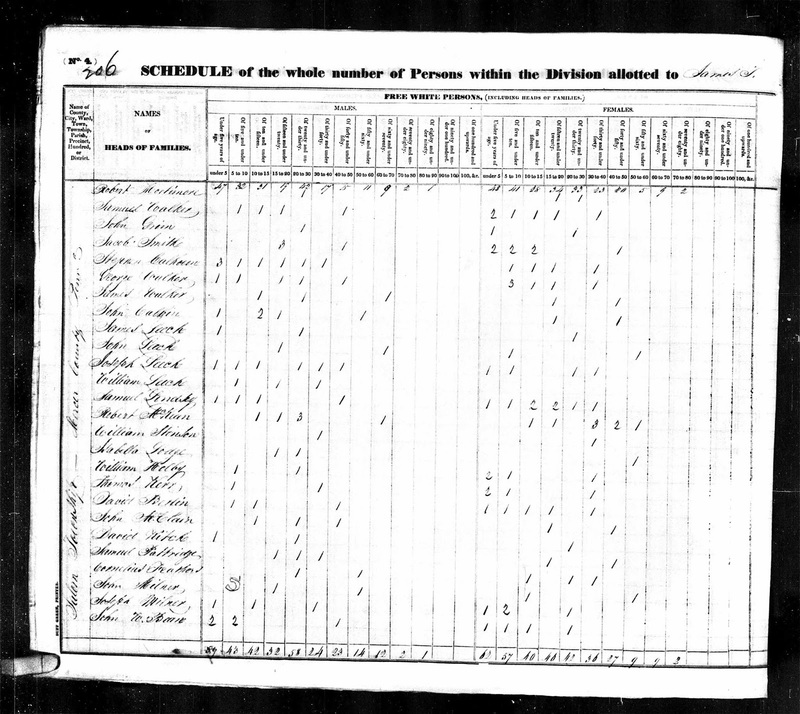 Cornelius Feather (1777-1853) is my 4th great-grandfather. He married --?-- --?-- (about 1785-before 1830) before 1804 when they had my 3rd great-grandmother, Sarah Feather (1804-1848) who married Henry Carringer before 1825. Cornelius married (2) Mary --?-- (1792-1855) in about 1850.